The SCO Group (SCO) was a provider of software solutions for small- to medium-sized businesses (SMBs) and replicated branch offices. SCO solutions include UNIX and Linux platforms; management, messaging, and e-business tools; and services that include technical support, education, consulting, and solution provider support programs. Based in Lindon, Utah, SCO has a worldwide presence with offices in 18 countries and representation in 82 countries. SCO solutions are divided into three broad areas: operating systems, extended platform and services. SCO's Operating Systems encompass SCO's UNIX and Linux platforms. SCO operating systems offer the performance, scalability and confidence of UNIX and the flexibility and reliability of Linux. SCO operating systems include SCO Linux Server, SCO UnixWare and SCO OpenLinux. Note: On 15 May 2003, SCO suspended the distribution of its Linux-based operating systems, claiming intellectual property infringments. Rate this project Ubuntu Kylin, a custom edition of Ubuntu tailored to Chinese speakers in mainland China, was released yesterday and announced earlier today on the project's website: "We are glad to announce the release of Ubuntu Kylin 15.04 (code name 'Vivid Vervet'). In this release, we have fixed many internationalization and localization bugs in Ubuntu itself and bugs in software written by the Ubuntu Kylin team. This release is based on the 3.19 linux kernel with the support of Intel Braswell SoC and initial support of Intel Skylake. Transition to systemd is also completed in this release. These applications have been updated to their latest versions: Firefox 37, Thunderbird 31.6, Chromium 41 and LibreOffice 4.4. In 15.04, we have turned on LIM (locally-integrated menu) and 'click to minimize' on by default. These two new features will make it easier for Windows users to adapt to the Unity user interface. We have also released Sogou Pinyin 1.2, it is not included in the image by default, but you can install it easily from the Software Center." Read the release announcement (same in Chinese) and the detailed release notes for further information. Download: ubuntukylin-15.04-desktop-amd64.iso (1,300MB, SHA256, torrent, pkglist). The development team behind Ubuntu Kylin has announced the availability of a new version of the project's official Ubuntu flavour designed specifically for users in China. The new version comes with updated MATE 1.20 desktop and it also provides a number of desktop improvements: "We are glad to announce the release of Ubuntu Kylin 18.10 'Cosmic Cuttlefish' which comes with a series of updates in kernel, basic services, desktop environment and software to provide a newer and better desktop experience. Ubuntu Kylin 18.10 ships with a brand-new Login and Lock programs, adding functions, fixing bugs and providing a cozier and easier user experience. Notable features include: new Login and Lock programs supporting biometric identifications technologies; Start Menu - modify the loading mode of Normal Menu and support a third-party category, support special characters, add feedback; Sessions - add a new Setup wizard; Notifications - add U disk management; Panel - redesign task layout when opening too many tabs on the panel...." Read the full release announcement (available in Chinese and English) for more information and screenshots. Download: ubuntukylin-18.10-desktop-amd64.iso (1,787MB, SHA256, signature, torrent, pkglist). 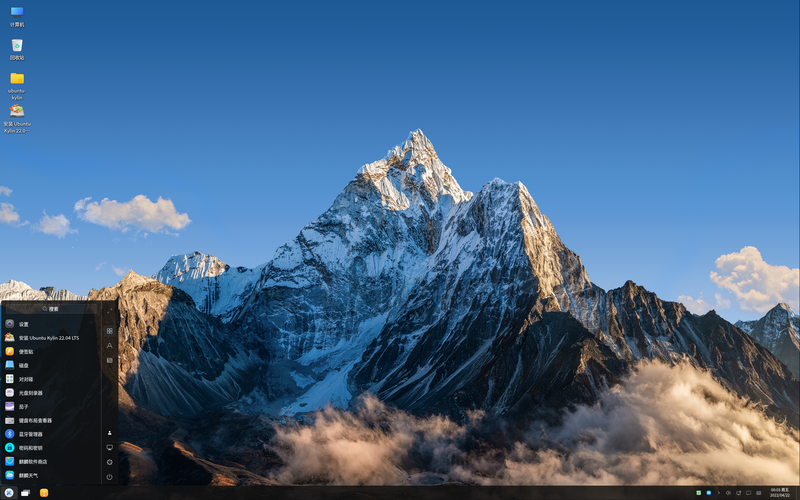 Ubuntu Kylin, a distribution designed primarily for the Chinese-speaking market, has been updated to version 16.10: "We are glad to announce the release of Ubuntu Kylin 16.10, code name 'Yakkety Yak'. In this release, we have fixed many internationalization and localization bugs in Ubuntu itself and bugs in software written by the Ubuntu Kylin team. Changes since 16.04: this release is based on 4.8 Linux kernel; the core applications have been updated to their latest versions - Firefox 49, Thunderbird 45.3, LibreOffice 5.2, Chromium 53, Nautilus (aka Files) 3.20; we have also released Sogou Pinyin 2.0.0.0082, it is not included in the image by default, but you can install it easily from the Ubuntu Kylin Software Center. Besides a plethora of bugs fixed in this milestone, several Ubuntu Kylin specific packages have also been updated." See the release announcement (in Chinese) and the release notes (in English) for further details, screenshots and known issues. Download the live DVD image from here: ubuntukylin-16.10-desktop-amd64.iso (1,511MB, SHA256, signature, torrent, pkglist). The Ubuntu Kylin project, which provides a Chinese language community edition of Ubuntu, has released Ubuntu Kylin 16.04. The new release includes long term support for security updates as well as a number of key changes. The English translation of the project's release announcement reads, in part: "Using the latest 4.4 kernel, upgrade to the Unity 7.4 desktop environment. Added a more concise and friendly login / lock screen and moves the application launcher to the lower part of the screen. The first boot of the system runs the setup wizard. Ubuntu Kylin Software Center becomes the default software manager front-end." This release also features a new version of the WPS productivity suite. Download: ubuntukylin-16.04-desktop-amd64.iso (1,476MB, SHA256, signature, torrent, pkglist). Ubuntu Kylin 15.10, an official Ubuntu variant tailored to the users in China, has been released: "We are glad to announce the release of Ubuntu Kylin 15.10 (code name 'Wily Werewolf'). In this release, we have fixed many internationalization and localization bugs in Ubuntu itself and bugs in software written by the Ubuntu Kylin team. All the work that Ubuntu Kylin team does is within the Ubuntu community and ecosystem and, as such, they get back to Ubuntu itself and everyone using Ubuntu can benefit from our work. 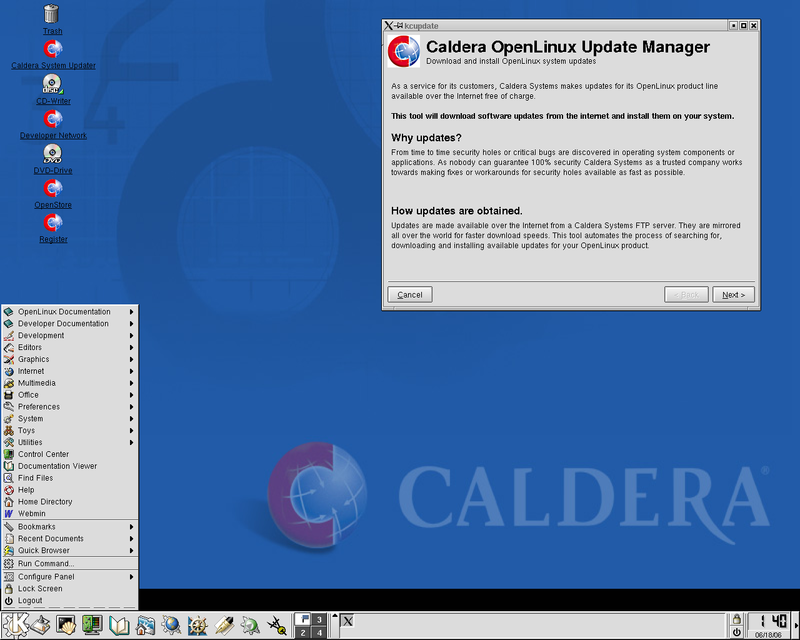 This release is based on the 4.2 Linux kernel with the support of Intel Broxton. The following applications have been updated to their latest versions: Firefox 41, Chromium 45 and LibreOffice 5.0.2. We have also released Sogou Pinyin 2.0.0.0066. It is not included in the image by default, but you can install it easily from the Ubuntu Kylin Software Center. Besides a plethora of bugs fixed in this milestone, several Ubuntu Kylin specific packages have also been updated." See the brief release announcement (in Chinese) and check out the detailed release notes (in English) for more details. Download: ubuntukylin-15.10-desktop-amd64.iso (1,306MB, SHA256, torrent, pkglist). Ubuntu Kylin is a special edition of Ubuntu tailored to Chinese speakers in mainland China. As has been the tradition over the past couple of years, a new version of Ubuntu Kylin has been released at the same time as Ubuntu 14.10: "We are glad to announce the final release of Ubuntu Kylin 14.10. In this release, we have improved system stability and have added more new features, which deliver a better user experience. 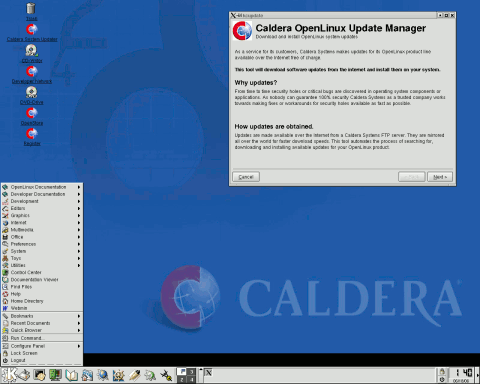 The Linux kernel has been updated to version 3.16 based on the 3.16.3 upstream version. Unity is version 7.3.1. In this release Ubuntu Kylin Software Center has been upgraded to version 1.1.3. Also updated: Youker Assistant 1.3.1, Youker Weather 2.1.2, Youker Calendar 1.0.0, Youker Fcitx 1.0.0, Sogou IM 1.1.0, Kuaipan 2.0.0 and Wiznote 2.1.12. Meanwhile, we have done lots of optimization and enhancement for you, with new slideshow and new wallpapers from 14.10 the wallpaper contest." Here is the very brief release announcement, with further information delegated to the release notes. Download from here: ubuntukylin-14.10-desktop-amd64.iso (1,312MB, SHA256, torrent, pkglist).